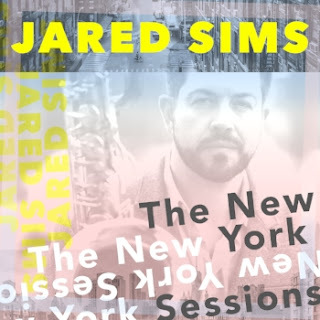 Baritone & Tenor Saxophonist Jared Sims Tells His New York Story On New CD "The New York Sessions"
Jazz saxophonist and educator Jared Sims pays musical tribute to experiences that influenced his creative development on The New York Sessions, his fifth album as a leader. Set for release by Ropeadope Records on October 12, the disc is a post-bop quartet outing that comes 20 years after Sims was performing regularly at clubs like the Knitting Factory, Wetlands, and Brooklyn's Tea Lounge. Joined on The New York Sessions by pianist Chris McCarthy, bassist Alex Tremblay, and drummer Evan Hyde, Sims plays his main axe, baritone saxophone, on only one of the album's five tracks, the jaunty-mid-tempo ballad "Brooklyn Tea," named for the defunct Tea Lounge venue. Becoming a kind of outsider to himself, he plays tenor on all the other songs: "Tribeca Tap Bar" (which shows off his Getzian influence), "Wetlands Preserved" (named for the famed Tribeca club), "The Bodega," and "Pelham." "The theme of this record is not just what New York means to me, but what New York meant to me before it just became all Starbucks and strip malls," Sims told CD annotator Michael J. West. "Not so much looking backward, but telling my New York story." 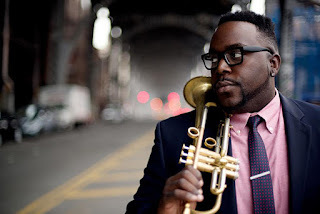 Jared Sims, who turns 44 today, started playing the baritone in the fifth grade in his hometown of Staunton, VA, and attended his first jazz concert, by Michael Brecker, in tenth grade. He saw the World Saxophone Quartet perform the following year, and his fascination with the saxophone went "over the top" after speaking with members of the WSQ after the show. He dedicated himself to the baritone after bringing a tenor to a class at the New England Conservatory (NEC) and having his instructor warn him he'd never be great on it because he'd be following in the footsteps of too many legends. Far from taking offense, Sims took his teacher's words to heart. "There are a lot of gold standards on tenor," he says. "I was trying to find a way to move past those influences. Playing the baritone felt really natural to me. I felt like I could do something personal and interesting with it." While an undergraduate at West Virginia University, from which he graduated in 1996 and where he's now in his third year as director of jazz studies, Sims studied traditional styles with David Hastings. At NEC, where he played clarinet in addition to baritone, alto, and tenor, he was exposed to non-traditional genres including Third Stream, under the tutelage of distinguished faculty members Gunther Schuller, George Russell, and Ran Blake. Another of his NEC mentors was Allan Chase, with whom he collaborated for various projects. Sims went on to earn a doctorate in classical music performance at Boston University, where his lecture recital was on the modern Italian composer Luciano Berio and his solo Sequenza pieces. He also did research on Igor Stravinsky, Charles Ives, and American popular music. Jared Sims While in Boston, where he earned a reputation as a "saxophone colossus," Sims roomed for four years with virtuoso baritone saxophonist Charlie Kohlhase, a cog in Either/Orchestra, who turned him onto Sahib Shihab. He played in numerous Boston-based bands including the Afro-Latin group Mango Blue; the organ funk outfit Akashic Record; Blueprint Project with guitarist Eric Hofbauer; and the jazz-rock quartet Miracle Orchestra. He has collaborated with an eclectic list of artists including the late Bob Brookmeyer, Han Bennink, Matt Wilson, Dave Liebman, Anat Cohen, the Temptations, 10,000 Maniacs, and Oasis's Noel Gallagher. Sims made his recording debut as a leader with the trio effort Acoustic Shadows (2009) and followed it with another trio session, Convergence (2011), and the collective quartet album The New Stablemates (2012). 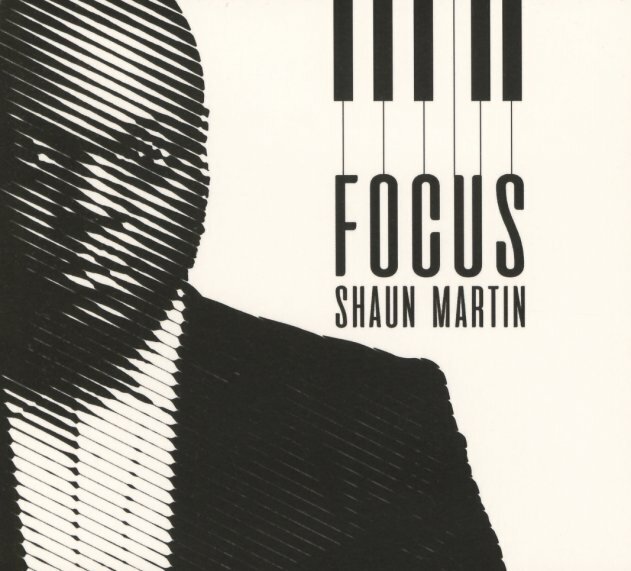 On Layers (2016), he overdubs himself playing saxophones, clarinets, and flute on tunes by Ellington, Monk, and Mingus, while on Change of Address (2017), a soul-jazz quintet date featuring the Hammond B-3 organ, he plays only baritone. w/ Ayinde Williams, p; Mike Hawkins, b; Emre Kartari, d.
w/ Cliff Barnes, p; Paul Thompson, b; Tom Wendt, d.
w/ Collin Chambers, p; James King, b; Nasar Abadey, d.
w/ Mike Effinberger, p; Rob Gerry, b; Mike Walsh, d.
w/ Mark Shilansky, p; Keala Kaumeheiwa, b; Steve Lagone, d.
w/ Frank Straub, g; John Feliciano, b; Alex MacKinnon, d.
“This record was inspired by my fiancé Nadira Kimberly. At home one night, we played and sang together as we listened to ‘Close To You’ by the amazing Burt Bacharach. This really opened the door for me to do this amazing man’s music. In 1975, I was 13 years old when my first single was released, “Please Stay,” by none other than Burt Bacharach. 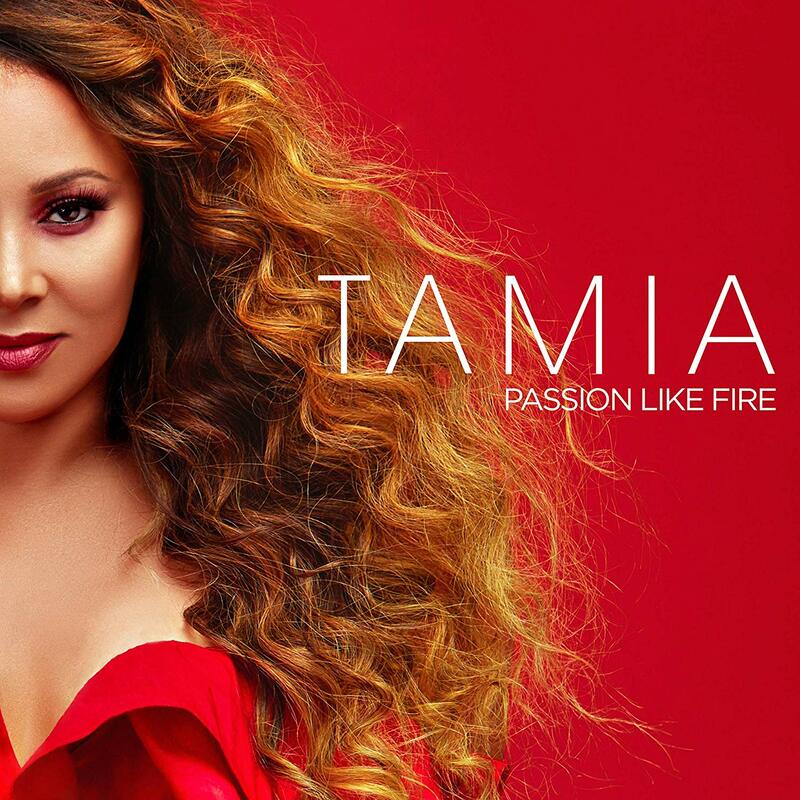 It's like I've come full circle.” Tracklisting includes: Do You Know The Way To San Jose; I’ll Never Fall In Love Again; This Guy’s In Love With You; Alfie; I Say A Little Prayer; Walk On By; (They Long To Be) Close To You; The Look Of Love; Cape Town; What The World Needs Now Is Love; and A House Is Not A Home. 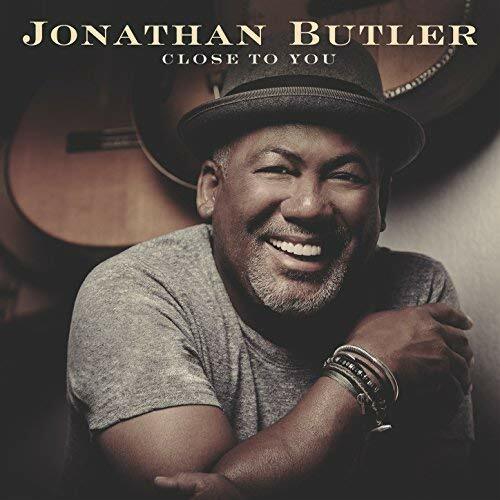 Jonathan Butler is a native of Cape Town, South Africa and the youngest in a family of 12 children, Butler began singing and playing guitar at age seven. Well respected in the jazz and R&B fields, as well as the gospel arena with his iconic Grammy®-nominated hit “Falling In Love With Jesus,” Butler is one of the few artists who successfully and seamlessly blends the genres into his career and live shows. Butler signed his first record deal as a teen and became the first black artist played on white South African radio stations, winning a Sarie Award, the South African equivalent of a Grammy, for the hit single, “Please Stay.” Butler lived in England for 17 years, and today makes his home in California, yet his artistry continues to pay homage to his African roots. Hill—“a smart post-bop player who circumvents genre clichés by incorporating elements of hip-hop and contemporary R&B,” says the New Yorker—is uniquely and extraordinarily qualified for the job. 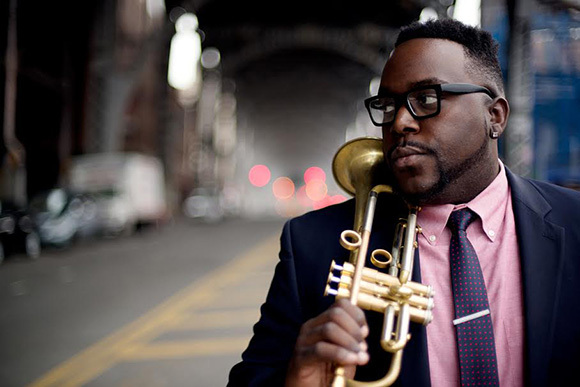 He’s one of the most gifted trumpeters on the scene and arguably the finest of his generation—the victor of the 2014 Thelonious Monk competition, and the recipient of the Rising Star title for trumpet in the 2016 DownBeat Critics Poll. A Chicagoan now based in New York and barely into his 30s, Hill learned the jazz language during a thrilling period in hip-hop history and the golden age of neo-soul. In recent years, he’s developed a global reputation as a determined and tastefully innovative bandleader. Of course, a fiercely talented and deeply interactive jazz band is only about half the story on Modern Flows Vol. II. Among the simmering intensity of instrumentals like “The Watcher” and “As I Am,” Hill and company provide elastic, organic backing for some of today’s most incisive spoken-word artists—poets who embody the hip-hop tenets that first attracted Hill to the art form. “I value the truth aspect of hip-hop,” he explains. “I’m a fan of music with a message.” On “Modern Flows II Intro,” emcee Brandon Alexander Williams lays down the project’s mission statement, flowing a through line that connects various corners of black musical culture; on “It Takes a Village,” he meditates on issues of black identity and family. Chicago’s M’Reld Green does impassioned work on “Prayer for the People,” probing such social problems as gentrification, substance abuse and racial disparities in policing; on “Herstory,” she illuminates the plight of minority mothers, because the media won’t. Another brilliant Chicago wordsmith, King Legend, closes the album with a message of self-empowerment on “Legends Outro III.” Along the way, Vol. II takes additional inspired detours. “Kiss and Tell,” featuring singers Braxton Cook and Rachel Robinson, is a soulful dip into old-school R&B romance. Using a strategy he picked up by studying Count Basie, Hill forgoes any improvised solos on “Stellar,” and instead encourages his band to savor the beautiful melody. A brief but potent exercise in Dilla-esque beatmaking, “Smoke Break” pays tribute to a controversial healing herb—one that can be “necessary to the creative process,” especially for musicians working a 12-hour day in the studio, Hill says, chuckling. Hill grew up on Chicago’s South Side, where he began playing drums in the 4th grade before switching to trumpet in the 5th grade. He attended high school at Kenwood Academy, with its renowned jazz-performance program, and was mentored by Bobby Broom, Willie Pickens, Tito Carrillo and other Chicago greats through the Ravinia Jazz Scholars program. Hill earned his bachelor’s in music education from Northern Illinois University, and did his graduate work at DePaul University. Throughout college he made gigs and sessions around Chicago, jamming with and learning from the likes of Fred Anderson, Ernest Dawkins and Von Freeman, and making a name for himself as a stunningly skilled trumpeter. By the time he won the Monk competition (and its Concord recording contract) in the fall of 2014, Hill was a known commodity in Midwestern jazz, having played in the Chicago Jazz Orchestra and self-released several projects—including, just weeks prior, Modern Flows EP Vol. I. A move to New York that same year helped him elevate his national profile, as did his Concord Jazz debut of 2016, The Way We Play, a fantastic postmodern standards record. “The groove-laden arrangements provide the perfect soundscape for Hill’s fluid improvisational style, which, with its glass-like lucidity, recalls the crisp elegance of hard-bop stalwart Donald Byrd,” DownBeat commented. Hill has also been a powerhouse sideman for Marcus Miller, Joe Lovano, his trailblazing Chicago peer Makaya McCraven, and other heavyweights. 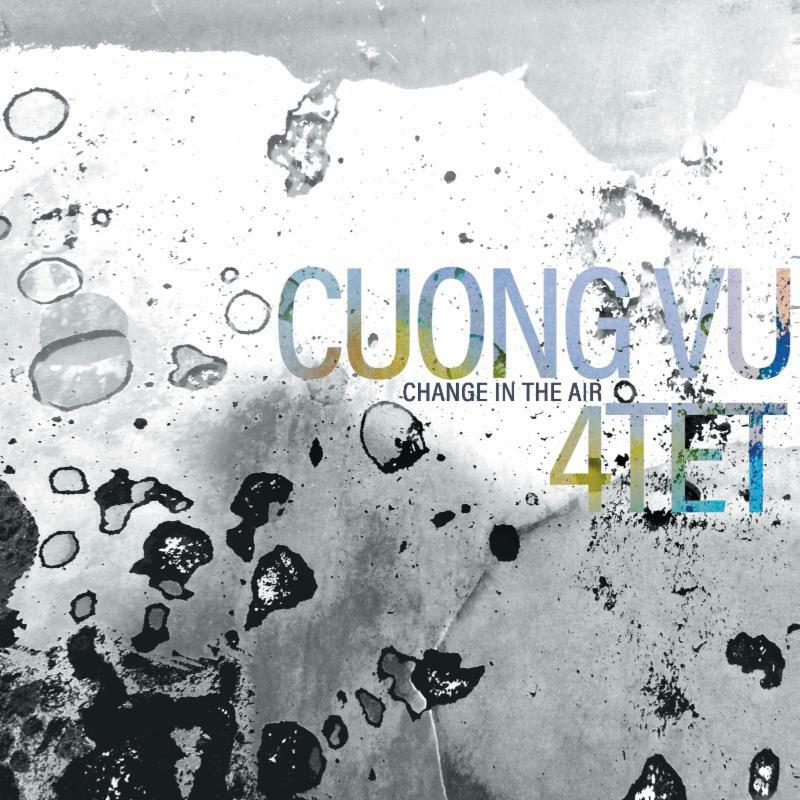 As a follow-up to 2017's acclaimed Ballet: The Music of Michael Gibbs, Seattle-based trumpeter Cuong Vu joins forces once again with guitar great Bill Frisell, bassist Luke Bergman and drummer Ted Poor on the boundary-pushing quartet outing for RareNoiseRecords, Change in the Air. With all the members of the quartet contributing compositions, this one finds the four participants on equal footing on ten adventurous originals. From Poor's dreamy, noirish opener "All That's Left of Me Is You" and his lonesome echo-laden waltz "Alive" to Bergman's dynamic "Must Concentrate," Frisell's delicate "Look, Listen" and his beguiling heartland melody "Long Ago" and Vu's angular "Round and Round" and his edgy and electrified "March of the Owl and the Bat," these four stellar musicians are truly on one accord and dealing with a rare level of nuance and depth of communication on Change in the Air. "It was a team effort," said Vu. "The only real leader thing that I did was make sure everyone had the studio dates in their calendars, set up rehearsals, made sure they knew where the studio was; more like secretarial work, is what I did. My only intention was that we should all bring in tunes to make it as collective as we could. This collection of people allowed me to let go and trust, and I knew that we all just wanted to make the best music that we could together." Poor added that the team effort developed quite naturally. "Cuong invited us all to contribute and I'm very pleased with how the band was able to sincerely welcome such a broad range of compositions into the fold. We needed repertoire and I think everyone felt comfortable and confident bringing in their own music. At that point we had played a lot of music together and I for one felt as though we were well on our way to developing a clear band sound and identity." 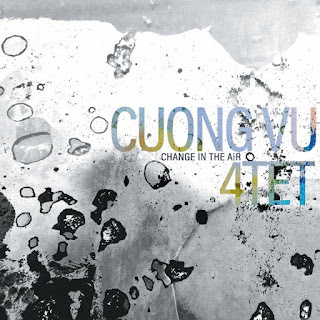 Vu commented on the various compositional qualities that his three band mates brought to the table on Change in the Air. "Bill's writing, like his playing, at first glance is seemingly simplistic though always full of character. And when you patiently zoom in you find that it's filled with multi-layered info that is cohesively bonded. His pieces can be played on any collection of instruments and arranged in any way, and the truth of what he intended will come through as the listener will find it as deeply moving as it is beautiful. Luke's writing is smart, clever, ironic, funny and feels inevitable. He comes from having seriously investigated a wide and eclectic range of music but he's rooted in a rock band-based type of viewpoint. I think it all comes out in the music that he writes. And Ted is one of these guys who sounds like the source music for whatever genre he plays, and he sounds like a wise, experienced elder playing it. What I find impressive is in how he's able to get deep into whatever type of music and so quickly absorb it. He's like a jack-of-all-trades type of drummer because of that ability, along with the technical freedom to execute it all. I'm not surprised that his writing reflects all that. The three tunes that he brought to the table are so different from each other and they all feel extremely rooted and focused in the specific context that each inhabits." Regarding his three stylistically wide-ranging compositions on Change in the Air, Poor offered: "I liked the idea of trying to writing something that could pose as an old standard found in an archive somewhere, and that's how I came up with 'All That's Left of Me Is You.' The title is a potential lyric for the final melodic phrase of the song. While the song does not in fact have lyrics I wanted us to play it as if we were playing an instrumental version of a standard song like 'Embraceable You' or 'If You Could See Me Now.' For 'Lately' I just had the sound of Cuong and Bill playing the melody and chords vividly in my ears, and I wrote it in one sitting not long before our recording session. 'Alive' was written back in 2012 for a gig I had in New York with Mark Turner and Pete Rende. I have enjoyed playing that tune with a number of different bands but until now it hasn't been recorded. We needed a few tunes with intensity and tempo to balance the set and 'Alive' felt like an obvious choice." Poor's sublime brushwork is beautifully showcased on "All That's Left of Me Is You," "Lately" and particularly on the rubato closer "Far From Here," which bears the stamp of the late drumming great and longtime Frisell collaborator Paul Motian. "Paul Motian is a hero of mine," said Poor. "Seeing him at the Village Vanguard with Frisell or with his own bands is something I'll never forget. His playing was riveting, provocative and pure music. Regarding brushwork, he's definitely one of my favorite drummers, along with Andrew Cyrille, Elvin Jones and Philly Joe Jones (his brush playing on 'Young and Foolish' from Everybody Digs Bill Evans comes to mind). All of those great players are able to extract infinitely nuanced sound and a powerful specificity of mood and feel. Brushes are exciting for me because they allow you to create sustain and offer such a wide range of attack, from staccato to a legato bloom of sound that has no attack at all." Frisell, who moved from New York to Seattle in 1988 and remained there for 30 years before returning to the Big Apple, says the chemistry for this particular quartet began in the Emerald City. "I was lucky to have first met Luke Bergman and over the years we have been playing more and more in all kinds of different situations together. It's been awesome connecting with him. Then as soon as Ted moved to Seattle we started playing a lot together too, just getting together at his house and playing tunes. It was the same with Cuong. As soon as he came to Seattle we started playing together. So it was great to have someone to be able to get together with and practice together and just play music together. That happened with all those guys separately and then eventually the four of us got together as a quartet. Cuong has been such an incredible inspiration-energizer for music in Seattle. Luke and Ted too. They all make things happen." While the quartet tackled the music of composer-arranger and Frisell's mentor Michael Gibbs on its first RareNoise record together, they decided to stick strictly with originals on Change in the Air. Vu's trumpet work is brilliant throughout. Whether its his extraordinary lyricism on Frisell's "Look, Listen" and Poor's dreamy jazz ballad "All That's Left of Me Is You," his plaintive call on Poor's melancholy "Lately" or his staccato bursts and skronking statements on his own "March of the Owl and the Bat," his playing is marked by bold instincts and nuanced expression. Poor cited one possible influence on Vu's "March of the Owl and the Bat": "Cuong has written a number of pieces over the years that are based on driving, angular syncopated rhythms. We are both huge fans of the Swedish heavy metal band Meshuggah and their rhythmic language informs our approach significantly. We worked off of a chart in the studio and the biggest challenge was to internalize the rhythms and meters and make them feel good. From there the embellishment and shaping of the tune flowed naturally." Frisell offers authoritative solos and beautiful, pianistic accompaniment to the fabric of these ten tunes on Change in the Air. "I'm just trying to listen and do the right thing," he said. "I'm a huge fan of master accompanists like Hank Jones, John Lewis, Tommy Flanagan, Richie Powell, Horace Silver...all guys that are working from the inside out. I for sure love hearing someone play a great solo but much more than that what really gets me off is trying to figure out what's going on with the whole band and how all the pieces fit together. When I listen to Miles' band with Herbie Hancock, Ron Carter, Tony Williams and Wayne Shorter....man! Every note from all of them all the time is astounding and essential. The magic is in how they play together." Vu also commented on his uncanny chemistry with Frisell, which is especially apparent in their intimate interactions on Frisell's chamber-like "Look, Listen" and the sparse closer, "Far From Here": "It's pretty much a necessity for me to be surrounded by deeply empathetic listeners whose main priority is to serve the music being created in each instance. And it takes a long time to find the right people who'll create the right mixture together. I really do think that all three of us (Luke, Ted, and I) have a natural strength in 'empathic listening' - making the others sound better while stating your own opinion with an openness to all possibilities in the immediate moments. And I do really think that we're pretty decent at that approach. But add Bill to the mix...that's his genius! He makes everybody that he's ever played with sound better and always puts them in a different light. It helps that I'm in that same zone of thinking, but it's really about Bill making it happen." Frisell also commented on the source of the quartet's remarkable chemistry: "You play with someone for the first time and you feel something that makes you want to come back for more. And I think the key to that is pretty simple. We listen. The best things happen when everyone's attention is focused on everyone else around them ...away from themselves." Regarding the source of the album's title, Vu pointed to the state of world affairs today as a kind of dark undercurrent to Change in the Air. "I've never felt so much anxiety about the future on so many levels - environmentally, politically and especially with the 'leadership' in our country - than I do now," he said. "In terms of what's going on and how we've gotten to this place, it feels overwhelmingly ominous, dangerous and as if it's only the beginning of what will come. I'm scared but, hopefully, just paranoid." Born on September 19, 1969 in Saigon, Vietnam's largest city, Vu moved with his family to Seattle when he was six years old. He picked up trumpet at age 11 and later received a scholarship to attend the New England Conservatory of Music in Boston. After moving the New York City in 1994, he formed the group Ragged Jack with keyboardist Jamie Saft, saxophonist Andrew D'Angelo and drummer Jim Black in 1997. During his time in New York, Vu worked with Laurie Anderson, David Bowie, Gerry Hemingway, Myra Melford, Bobby Previte, Dave Douglas and more. He appeared on Pat Metheny's Grammy-winning albums Speaking of Now (2002) and The Way Up (2005). Vu returned to Seattle in 2007 to teach at the University of Washington, where he is currently a full professor. Equal parts exhilarating precision and reckless abandon, LBO’s live shows are a truly immersive experience – ranging from the ecstatic to the cathartic and all points in between – and they have expertly captured that unique blend of energy and emotion on their new album If I Had The Strength. Released worldwide on August 10th via a new deal with Six Degrees Records. The band will be bringing the new material and their notoriously engaging live show out on an 11 date US release tour starting September 14th (see below for a complete list tour dates). Two years in the making, the new album once again draws its repertoire and inspiration from a myriad of folk traditions across Eastern Europe. 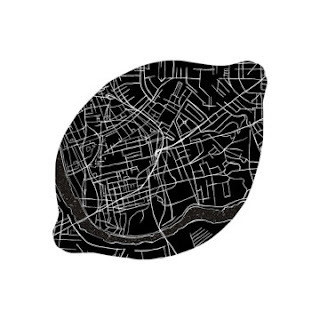 But unlike their two previous albums (2012’s Lume, Lume and 2015’s Moorka), which were both just collections of individual, unrelated songs, IIHTS explores an overarching narrative through line, to tell a much bigger story. “This is an album about coming home, about never being the same, about the parts of ourselves we lose, the parts we gain, and about the prisons we inhabit or that inhabit us,” says Lemon Bucket Orkestra ringleader, Mark Marczyk. Documenting Lemon Bucket Orkestra at the height of its musical powers, the new album also features a compelling list of special guests; from beloved Canadian soprano, Measha Brueggergosman, to Montreal-based Latino rapper, Boogat, to a triumphant-yet-tragic 60 strong reading of the late Adrienne Cooper’s Sholem by the mighty Choir!Choir!Choir! Weaving in and out of the prison ballad theme, the work takes listeners on an emotional journey exploring trauma and tragedy through the lens of musical exploration and communal celebration. Lemon Bucket Orkestra has been wowing international audiences for close to a decade now, bringing their unstoppable and infectious musical mayhem to stages and streets far and wide. Voted Toronto’s Best Live Band by the readers of NOW Magazine, the band’s previous album, Moorka, took home a 2015 Canadian Folk Music Award for World Group of the Year, and was nominated for a 2016 JUNO award for World Music Album of the Year. The band is best known for its raucous parties, impromptu street performances and legendary live shows. But in the last year, they have also made a mark with their powerful and award winning ‘guerrilla folk opera,’ Counting Sheep (which features the entire band as the cast). The unique theatre experience has already played for enthusiastic audiences in Canada, Scotland, Ireland, the UK, Germany and the US (where it has run in Berkeley, Stanford and NYC) and will be staged again at the Vault Festival in the UK in early 2019. The pioneering Afro-Peruvian sound system NOVALIMA celebrates their 15th anniversary with Ch’usay, a new release on Brooklyn’s Wonderwheel Recordings, an international tour launching in July. From their humble start, file-sharing musical ideas and producing their first album in separate countries during the dawn of the internet, Novalima is now a live musical force revered worldwide for breaking boundaries and uniting seemingly irreconcilable genres, communities, and generations. They have created an inspiring movement and revolutionized the music scene in their native Peru by bridging a longstanding divide between the mainstream and the minority Afro-Peruvian community, who have struggled against discrimination and cultural dissolution for generations. 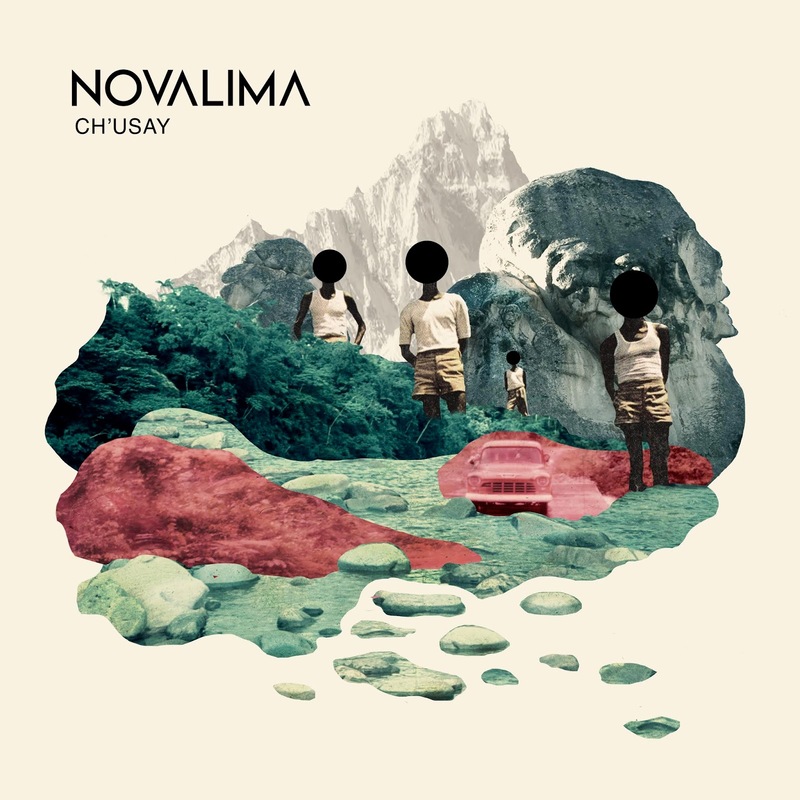 Over the last two years, Novalima created their newest offering, Ch’usay to be released September 14th on Wonderwheel Recording. The album's name (internal voyage in Quechua, the language of the Incas) signals Novalima's latest musical exploration, ancient sounds and instruments from the Andes and the Amazons. This time around, Novalima goes one step further to enrich their sound by collaborating with new generations of local artists from the peruvian music scene. The album also has offerings from global artists such as Esteban Copete (Colombian Marimba master) and Kumar (Cuban rapper based in Barcelona). The debut single, named after the album, (to be released on July 13th) is the perfect example ofthe the new sonic voyage in which Novalima has embarked. Ch’usay, a futuristic huayno dub, includes astonishing vocal collaborations by andean soprano Sylvia Falcon and pioneer Quechua rapper Liberato Kani. The 15th Anniversary celebrations will also include a limited edition release of Novalima's first three albums Afro, Coba Coba and Karimba, on color vinyl for the first time, followed by an international tour through Europe and North America. Novalima has garnered worldwide critical acclaim from mainstream (NPR, UK Guardian, Wall Street Journal, La Presse, Metro, Billboard) and underground media (Giant Step, Remezcla, Nat Geo) alike, delivered legendary performances around the world at festivals such as Roskilde, WOMAD, Pirineos Sur, NYC Central Park, Montreal Jazz Festival and Chicago’s Millennium Park, earned a Latin Grammy nomination for Best Alternative Album, and were featured in cult filmmaker Robert Rodriguez’s hit Mexploitation movie Machete. 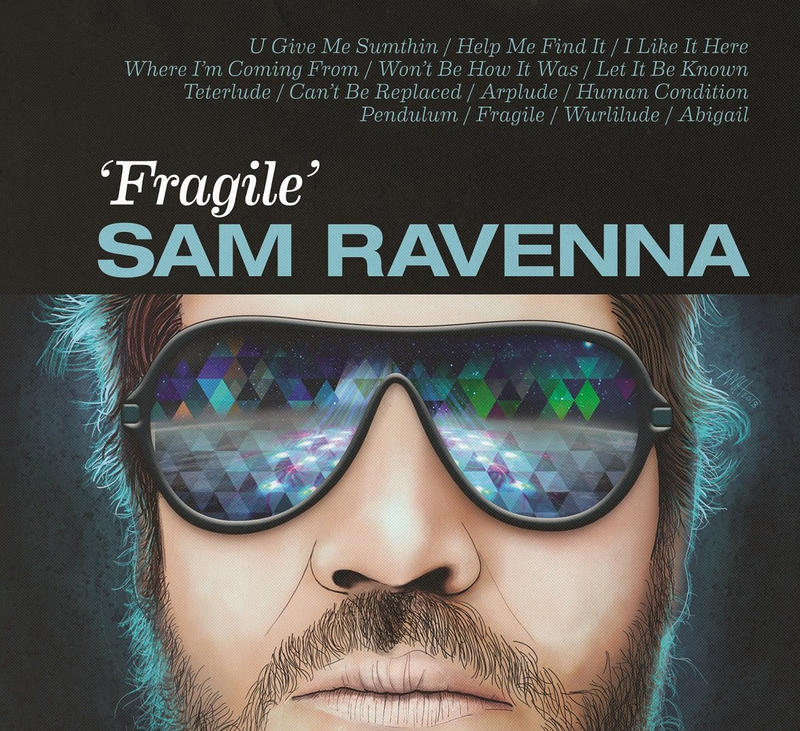 Sam Ravenna’s sophomore release, “Fragile”, picks up where his self-titled EP leaves off, and dives deeper into what drives Ravenna as an artist. From vintage Motown flavored soul music, neo-soul funk beats, yacht rock, to experimental avant-guard Jazz and psychedelic dub, ‘Fragile’ simultaneously throws you back to the past, and plunges you deep into the future. To record the album, Sam and his Lake Tahoe based band set up an extensive studio at the house of drummer and sound engineer, John Riley. They laid the foundation for a 14 track album, all while being inspired by the views of a massive alpine lake just outside the window. Ravenna hits the road this fall with New Orleans soul-man Eric Lindell, opening the tour solo and lending bass and vocals to Lindell’s band. Ravenna’s solo show allows a place for the root of his songs to come through, and gives the listener a more intimate experience of his voice and message. Brooklyn-based Red Piano Records is proud to announce the release of STREAMING from pianist/composer Ran Blake and vocalist Christine Correa. 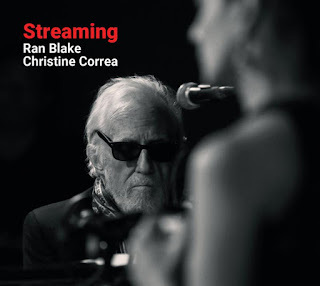 This recording is the latest yield from Blake and Correa's remarkable friendship and superlative musical collaboration that has thrived for over three decades. Blake and Correa are a united force in presenting this material. There exists between these two singular and incomparable artists an uncanny, inventive rapport, an aura of inevitability that emboldens and challenges their audiences' sonic imaginations. Together they capture an intensity in their interpretation of "No More", "Don't Explain" and "Lonely Woman", lightness and frivolity in "Bebopper" and "Ah El Novio", and introspection as in the three solo piano versions of George Russell's "Stratusphunk", and the vocal solo on "Wende". According to Larry Livingston from the Thornton School of Music in Los Angeles, Blake, "is in a category all his own. He plays from the inside out, owes no absolute allegiance to a particular style or approach, and makes an art of restraint." Mumbai-born and New York based Correa sings with her own singular style and timbre. Her voice has been described as, "controlled, confident, and jazz inflected...". The creative imprints of their long-enduring and endlessly fascinating musical journey are nowhere more evident than in their two remarkable tribute CD's celebrating the contributions to the jazz canon of the late Abbey Lincoln, and on their current recording, "Streaming". The material on "Streaming" draws from diverse sources including selections from the American Songbook, classic jazz compositions, traditional Sephardic folk pieces, Brazilian songs and original compositions. What they have in common is that they all are part of the Third Stream repertoire and included in Blake's groundbreaking concept of a system of artistic development. For the past 50 years he has been sharing his ideas with young musicians at New England Conservatory and beyond. This wide-ranging repertoire has become a de facto lingua franca with these songs serving as portals for musical communication, interaction and self-discovery. The term streaming refers to a process; a way of finding one's own artistic path. In his book, "Primacy of the Ear", Blake states, "the type of introspection we are concerned with encourages you to examine things that are already a part of you - the style that is already your own, your feeling of heritage or nationality, a passion for a certain historical time period or geographical region, an intellectual bent and/or an emotional need to express. It could be your sense of fashion, or a deep commitment to a social/political movement. It can be as specific as one color you like to wear, and as broad as your sense of reality or view of life. What the critic within each of us tells us about our playing and composition is important. It is a start. But if we are to break through to the inner fires of creation, it will be the ear that will lead us to greater heat and finer focus." In a career that now spans five decades, pianist Ran Blake has created a unique niche in improvised music as an artist and educator. With a characteristic mix of spontaneous solos, modern classical tonalities, the great American blues and gospel traditions and themes from classic Film Noir, Blake's singular sound has earned him a dedicated following around the world. In the tradition of two of his idols, Ellington and Monk, Blake has incorporated and synthesized several otherwise divergent styles and influences into a single innovative and cohesive style of his own, ranking him among the geniuses of the genre. Ran Blake is a recipient of the MacArthur "Genius" grant. He was the founder and long-time chairperson of the Third Stream Department (currently called Contemporary Improvisation Department) at the New England Conservatory in Boston, MA. Christine Correa, originally from Bombay, India, has been involved in a variety of improvisational contexts and is currently on the faculty of The Louis Armstrong Jazz Performance Program at Columbia University in New York City. She has been widely recognized as a leading interpreter of the works of a range of modern American and European poets as set to music by some of today's most innovative jazz composers, such as Frank Carlberg, Nicholas Urie, Sam Sadigursky and Steve Grover, among others. Correa has also recorded and/or performed with artists such as Steve Lacy and John LaPorta and appeared at numerous festivals, concert halls and clubs in the US, Europe, the Middle East, Africa, South America and India. Correa is a long-time resident of Brooklyn, NY. 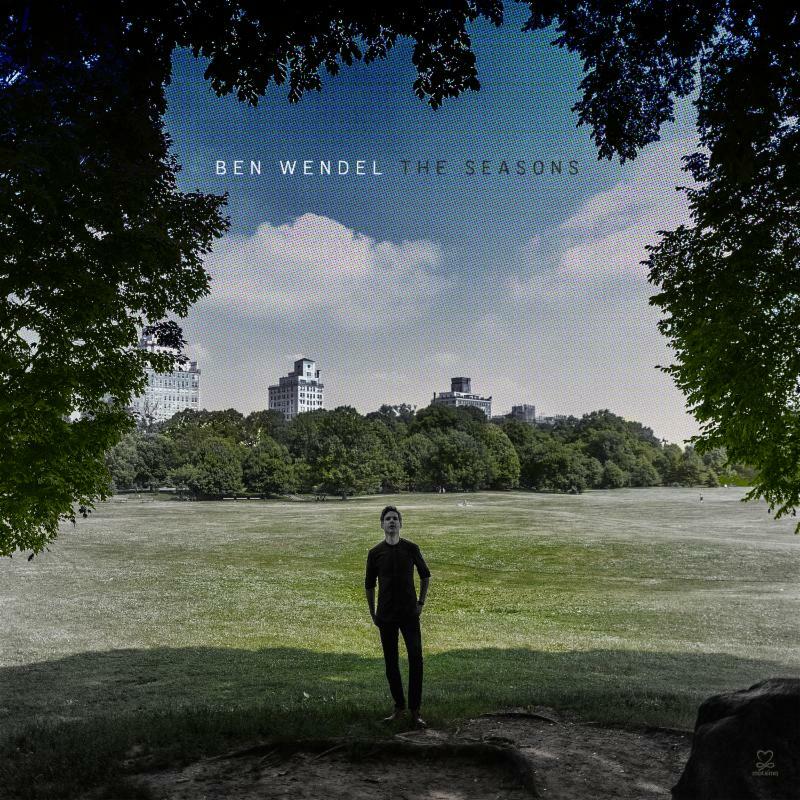 In 2015, Grammy nominated and award-winning saxophonist, bassoonist, composer Ben Wendel released a music-video art project entitled The Seasons - inspired by a set of twelve piano pieces written and released each month by one of his favorite classical composers, Tchaikovsky, in 1876. Wendel's modern take on the idea was to compose and release twelve original jazz chamber duets in video format with modern luminaries such as Joshua Redman, Aaron Parks, Gilad Hekselman, Eric Harland, Matt Brewer, Julian Lage, Ambrose Akinmusire,among others. "The idea and goal of The Seasons was a simple one: 12 original pieces dedicated to 12 musicians I deeply admire, released over 12 months via YouTube. Though this ended up being one of the most challenging and complex projects I've ever attempted, it also turned out to be one of the most rewarding," says Wendel. Wendel continues, "the reception was positive and fascinating!" Although Wendel never played the music live nor released it as a CD, it was nominated as one of the best 'albums' of the year by The New York Times and featured on NPR's All Things Considered, and The CBC. A few years passed, he was further inspired by Lee Krasner's work titled The Seasons (on permanent display at The Whitney Museum), and in 2018 was given the incredible opportunity to lead his own group at the famed Village Vanguard in New York. "I thought this was the perfect moment to take The Seasons project into the next phase. I put together a quintet made up of artists from the original video series and the music was transformed from the intimate setting of duos to something much grander in the hands of these master musicians," states Wendel. The uniqueness of this recording, and the upcoming tour dates, is that this music was never played live or released as a traditional album. So this is the premiere of an exciting new chapter in The Seasons project. "I couldn't be more grateful and excited", says Wendel. The Seasons Band is comprised of some of the most compelling musicians on the scene, and dear friends, Aaron Parks (piano), Gilad Hekselman (guitar), Matt Brewer (bass) and Eric Harland (drums). The Seasons is Wendel's follow-up recording to the critically acclaimed What We Bring (on Motema, September 2016). More on Ben Wendel: GRAMMY-nominated saxophonist Ben Wendel, born in Vancouver, Canada, raised in Los Angeles, and currently living in Brooklyn, continues to lead the way in audience engagement via social media and YouTube with his latest video series, "Standards With Friends" (featuring sessions with Mike Moreno, Jonathan Blake, Justin Brown, Larry Goldings, and others). Wendel has enjoyed a varied career as a performer, composer and producer, including tours with artists such as Ignacio Berroa, Tigran Hamasyan, Antonio Sanchez, Gerald Clayton, Eric Harland, Taylor Eigsti, Snoop Dogg and the artist formerly known as Prince. Wendel is also a founding member of the GRAMMY-nominated group Kneebody, whom he will be touring with this September, performing music from Anti-Hero (on Motema), including the single, "How High" (featuring Inara George). As a composer, he has received an ASCAP Jazz Composer Award, the 2008, 2011 and 2017 Chamber Music America "New Works Grant" and most recently was awarded the Victor Lynch-Staunton award and the Concept to Realization grant by the Canada Council For The Arts. He also co-wrote the score for John Krasinski's adaptation of David Foster Wallace's, Brief Interviews With Hideous Men. worked with conductor Kent Nagano in producing a series of concerts for the Festspiel Plus in Munich, Germany. Wendel has recorded for Sunnyside Records, Concord Records and Brainfeeder, including Simple Song (2009) and Frame (2012), a duo project with French-American pianist Dan Tepfer entitled Small Constructions (2013) and multiple Kneebody albums. Wendel's critically acclaimed album What We Bring was released in the Fall of 2016 on Motema Music, and is now followed up by The Seasons, available October 12, 2018. Sept 17 - Blues Alley - Washington, D.C.
With 47 Pop hits and 52 R&B hits to their credit spanning nearly 25 years of recordings, The Four Tops are one of the greatest vocal groups in the history of pop music, hands down. But a big chunk of their hits, the ones they recorded for the ABC/Dunhill label, have been almost entirely unavailable in the CD era. This 2-CD collection from Real Gone Music answers the prayers of soul fans worldwide by presenting, for the first time ever on CD, all 33 rare single sides that the Tops recorded for the ABC/Dunhill label from 1972 through 1978. Just how rare are these tracks? We’ll get into that in a sec; but first, a little history. 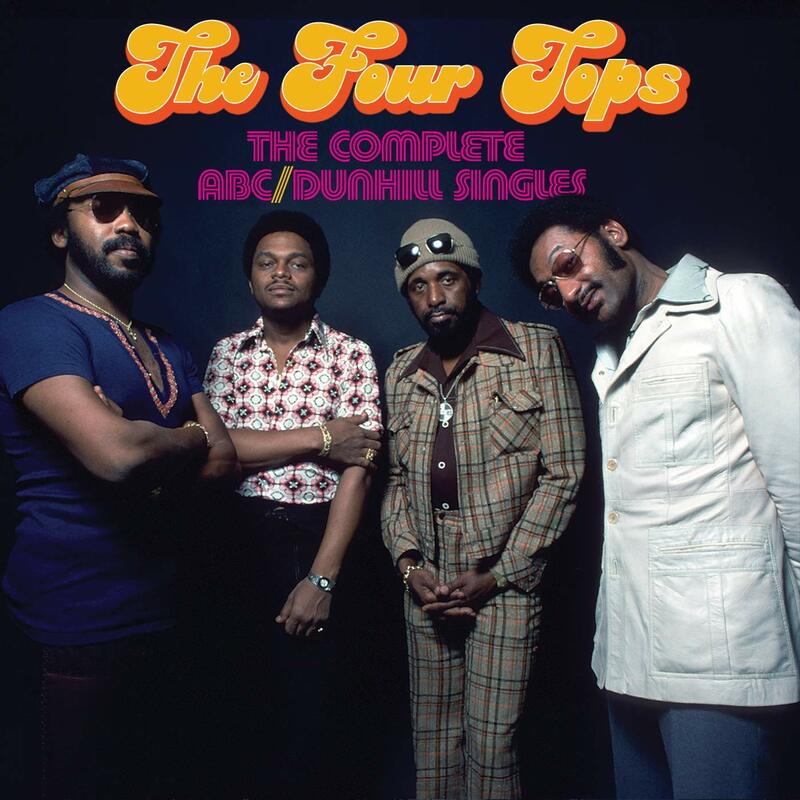 Though The Four Tops (Renaldo “Obie” Benson, Abdul “Duke” Fakir, Lawrence Payton, and lead singer Levi Stubbs) had dominated the charts with their classic recordings for Motown in the ‘60s, when the label decided in 1972 to move to Los Angeles, the group, like many of their celebrated label-mates, felt it was time for a change. 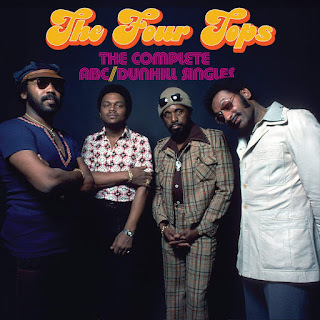 They thus signed with ABC Records’ Dunhill imprint and hooked up with producer Steve Barri (The Grass Roots) and songwriters Dennis Lambert and Brian Potter, who re-created their classic Motown sound on Top Ten hits like “Keeper of the Castle” and “Ain’t No Woman (Like the One I’ve Got).” In all, The Tops recorded 17 A-sides (including a Spanish-language version of “Keeper of the Castle”) for ABC/Dunhill during their six years on the label, notching a total of 11 Billboard Pop hits and 15 R&B hits, but those original hit singles (and their even rarer B-sides) have been almost impossible to find on CD. Why? Well, in a sad tale we’ve told before on our previous Dunhill singles collections featuring The Mamas and The Papas, Steppenwolf, and The Grass Roots, legend has it that label head Jay Lasker threw out the tapes, deeming them worthless. A few singles—those identical to the album versions—have leaked out on CD, but here is the breakdown: of the 33 tracks (the seven earliest mono, the rest stereo), 27 have never been available on CD in their correct single versions, and 13 songs have never appeared on CD in any version! Like on our previous collections, the “Dunhill dream reissue team” of engineer Aaron Kannowski, liner note writer/A&R man Ed Osborne, and co-producer Gordon Anderson is at the helm for this release; Osborne’s notes (which are always a fun, informative read) feature quotes from original writers/co-producers Steve Barri and Dennis Lambert, with great photos to boot. Special notice must also be given to Aaron Kannowski, who once again went to the ends of the earth to track down sources for this collection. It’s the missing chapter in the career of one of the greatest vocal groups of all time…a very, very proud addition to our Real Gone Music roster and a Four Tops collection you’re gonna want to spin again and again! Music icons Marilyn McCoo and Billy Davis, Jr., the original lead vocalists of the internationally acclaimed music group The 5th Dimension, bring back their trademark "champagne soul" sound to the Catalina Jazz Club (6725 W Sunset Blvd, Los Angeles, CA 90028), starring in "Up, Up and Away" on Labor Day weekend. The husband and wife duo are scheduled to perform Friday, August 31st through Sunday, September 2nd. McCoo and Davis, seven time GRAMMY® Award winners, who last performed at the Catalina Jazz Club in 2014 before a sold out crowd, will perform pop classics, including Up, Up and Away, Aquarius/Let The Sunshine In, Worst That Could Happen, You Don't Have to be a Star (To be in My Show), Stoned Soul Picnic, Wedding Bell Blues, Last Night (I Didn't Get to Sleep at All), I Believe in You and Me, Everyday People, and When a Man Loves a Woman. The husband and wife duo will also debut new music from their upcoming studio album, an homage to some of the legendary music icons of our time. 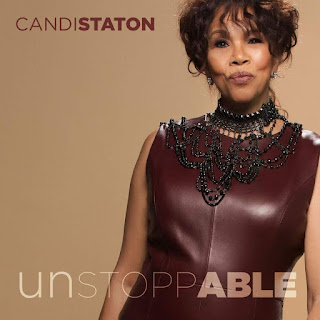 Set to be announced next month, this project is being produced by Nic Mendoza, and will be McCoo & Davis' first major recording project in three decades. Stephen Roseberry and Jon Carrasco are Executive Producers, as well as McCoo & Davis' Personal Manager, Steve Rosenblum, along with Associate Producers Rubén Torres and Tommy Meharey. Marilyn McCoo and Billy Davis, Jr. enjoy tremendous success as recording artists, performers and authors. They received 7 Grammy Awards and earned 15 gold and 3 platinum records. The husband and wife team celebrate over 49 years of marriage. In 2004, the couple wrote a book, which shares their secrets of staying happy and committed to each other in Hollywood. As lead vocalists of one of the top singing groups of our time, The 5th Dimension, they recorded such hits such as UP, UP & AWAY, AQUARIUS/LET THE SUNSHINE IN, WEDDING BELL BLUES, ONE LESS BELL TO ANSWER, and STONED SOUL PICNIC to name a few. As a duo, the song YOU DON'T HAVE TO BE A STAR (TO BE IN MY SHOW), reached #1 on the music charts and earned them a Grammy for Best R&B Vocal Performance by a Duo or Group. On television, THE MARILYN McCOO & BILLY DAVIS, JR. SHOW was the first, and to date only, variety series starring an African-American musical couple. In addition to the success they have together, Marilyn & Billy have also enjoyed solo pursuits. McCoo hosted the popular television music series, SOLID GOLD, for 5 years - and Davis had the chance to realize a lifelong dream For reservations, call 323-466-2210 or visit mccoodavis.com or www.catalinajazzclub.com to record a religious album with gospel great, the Rev. James Cleveland, entitled, "Let Me Have a Dream." Over the years, the talents of McCoo & Davis have been requested for important events on a national and global level, including participation in inaugural celebrations for U.S. Presidents and a performance for the Pontiff, Pope John Paul II. Quiescence and awakening. Tradition and innovation. Body and soul. Rolf Kühn finds such opposing forces attractive. 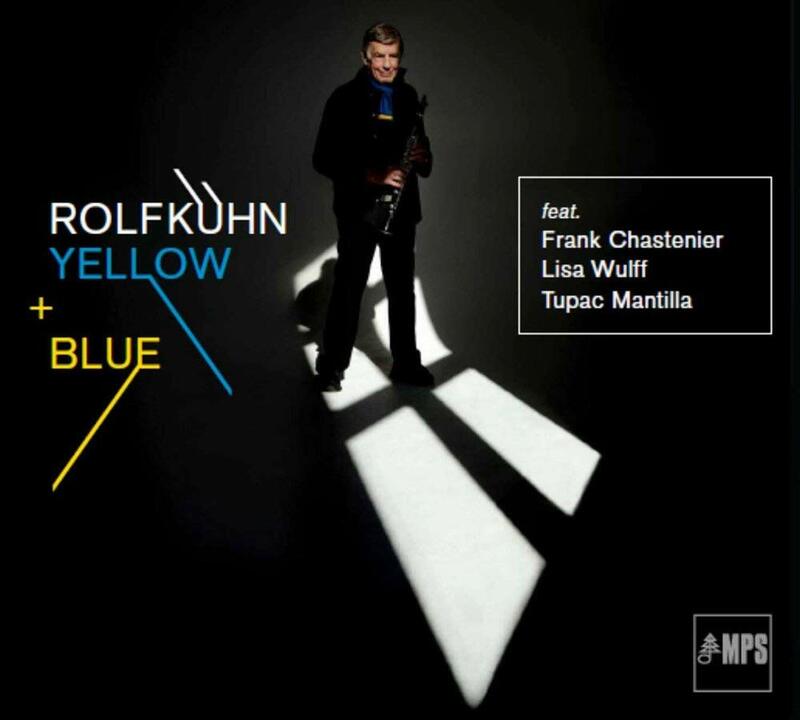 With his new album Yellow + Blue, the 88-year-old clarinetist once again improvises and swings his way through uncharted musical territory. Europes greatest clarinetist and free spirit (Jazzthetik) plays ballads and legendary love songs on his new MPS album. In so doing, he delivers new meaning and a fresh sound to the pieces. A sentimental look back is simply not his thing. Together with his new quartet of pianist Frank Chastenier, bassist Lisa Wulff, and percussionist Tupac Mantilla, Kühn contrasts his sensitive side with his unbridled desire to experiment. Ive chosen some of my favorite ballads for this album. These pieces have nothing to do with any sort of trend. For me, they are poignant and beautiful; they are simply timeless, says Kühn. I found it especially appealing to combine these particular choices with my latest compositions. The album opens with Both Sides Now, a classic by Joni Mitchell. Kühn liked the poetic text, and says that, Somehow, in life there are always two sides, but its best when they enrich each other and can smoothly merge in order to create something new. One of five new compositions, the title song Yellow + Blue encapsulates the two perspectives: the flamboyant, the impulsively vibrant yellow next to the soft, sensitive, warm bluesy-blue tonal color. In turn, a new musical color is created out of the contrast. Reel People are back with "Retroflection"